Simple flat shelves for small tools ranged along the walls at random, fitted in between beams and windows. 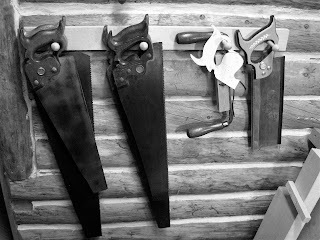 Saws and large tools hung from pegs in the wall over the bench. I glued the back bindings onto the Hernandez y Aguado guitar copy (click here to learn more about that guitar) last Friday afternoon with great success. Then I turned my attention to my studio. 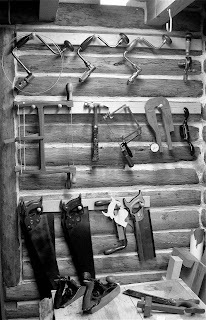 My studio is about 9'x11', space is at a premium, and I was hanging saws, braces and other tools that I use on a regular basis on the wall in a rather un-artistic manner, umm, the tools were hanging on nails. Not that that is a bad thing, just not aesthetic. Several months ago I bought several bags of small shaker pegs at my local Woodcraft store so I could make better racks. Funny how long it can take me to get around to doing something, like finishing my new cabinet work bench so I can chuck my tool chest onto the trash heap where it belongs and clear more floor space. 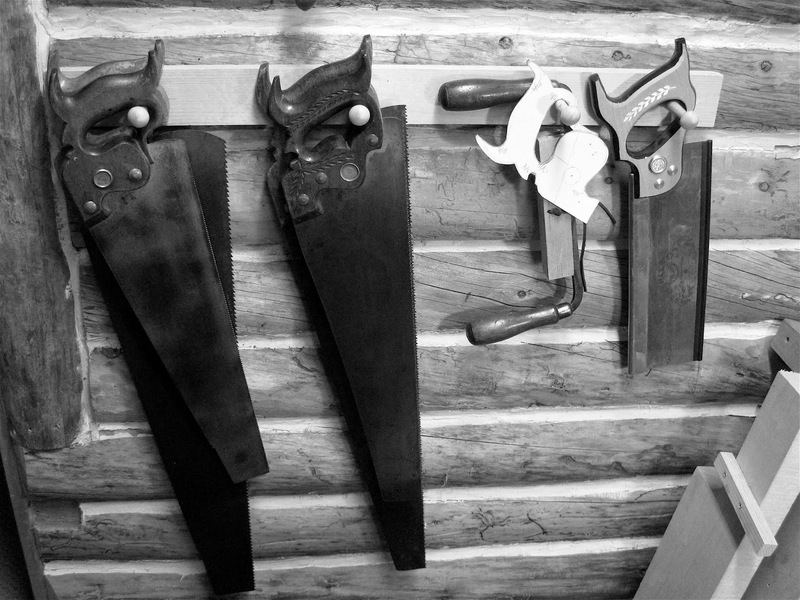 Don't these saws look pretty hanging from pegs! 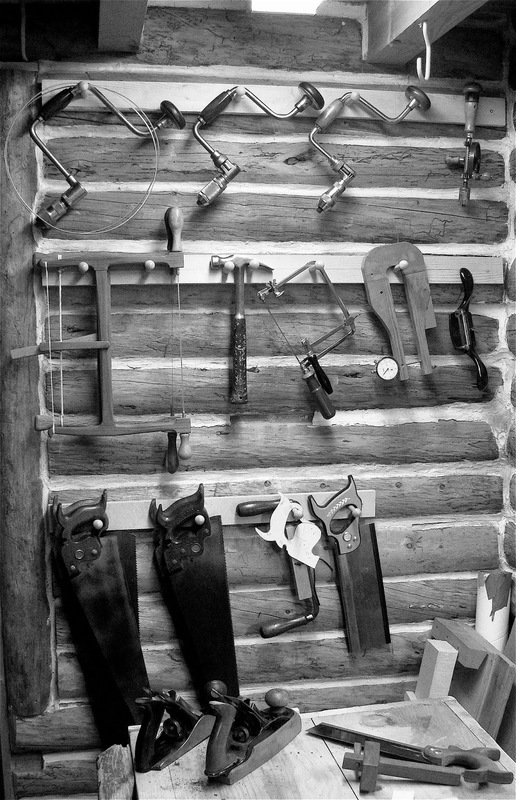 This is such a great way to display my tools, I always feared that one of them would jump off a nail and fall to the floor. Tool suicide. Now I need to make new racks to hang all of my clamps. Yes, there are several tools that still hang on nails, but I have forgiven myself for doing that. The only electricity used to make these racks was that consumed by the over head lights, the boards were ripped by hand, finished with a Stanley No. 5 jack plane, the holes were drilled by bit and brace. Now, turn off your computer or other electronic device and get out to the shop and make something!